At LEE Wealth Advisory Group we believe an open and ongoing dialogue is key to the success of every relationship. Before we propose any solution or make any recommendation, we will hold in-depth discussions with you and, if you wish, your family members and your other professional advisors. These discussions allow us to gain a thorough understanding of not just your immediate financial goals, but also the long-term aspirations you and your family share. LEE Wealth Advisory Group uses a proven wealth management process designed to simplify the building of your financial future. Relevant, pro-active investment advice is a foundation of any wealth management strategy. Our clients expect and receive exceptionally personalized wealth and investment advisory services. Like you, they expect competitive investment returns where security, and the prudent management of risk, is fundamental. Above all, they are looking for a plan. We act for high-net-worth individuals and their families, holding companies, small business owners, trusts and charitable foundations. We are committed to finding the right investment solutions, confronting challenges along the way and – in the end – exceeding your expectations. Ultimately, what we do comes down to a simple, old-fashioned fact of life. Lawrence graduated from Ryerson University with a Bachelor of Commerce Degree in Accounting. He joined TD Wealth in 2000 and has been working as a registered representative in an advisory capacity since 2004. Previous to that, he has held positions with TD Direct Investing on the Presidents Desk servicing high-net-worth clients. He also worked on the mutual fund, fixed income and Wealth Support specialty desks where he was supporting financial planners’ clients asset allocation and portfolio rebalance. Lawrence has been working with high-net-worth clients and their families for more than 19 years. Lawrence has been awarded the prestigious designation of Fellow of Canadian Securities Institute FCSI®. Recognized as the highest honor in the financial services industry, the FCSI® is given only to industry professionals whose superior training and experience exemplify excellence. His other designations included Chartered Investment Manager (CIM), which enables him to counsel individuals and organizations on complex wealth management issues beyond the scope of basic investment plans. Through his CIM designation, Lawrence has gained expertise in servicing affluent clients and their unique needs. 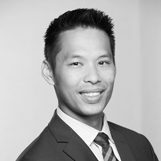 Lawrence is a Life Insurance Advisor through TD Wealth Insurance Services. When not at the office, Lawrence enjoys his leisure time with his wife and two young boys. He also enjoys vacations, his children's activities and watching sports. to view our Ebook on line. to view our "Why Choose US?" Lawrence graduated from Ryerson University with a Bachelor of Commerce Degree in Accounting. He joined TD Wealth in 2000 and has been working as a registered representative in an advisory capacity since 2004. Previous to that, he has held positions with TD Direct Investing on the Presidents Desk servicing high-net-worth clients. He also worked on the mutual fund, fixed income and Wealth Support specialty desks where he was supporting financial planners’ clients asset allocation and portfolio rebalance. Lawrence has been working with high-net-worth clients and their families for more than 17 years. His other designations included Financial Management Advisor (FMA), which enables him to counsel individuals and organizations on complex wealth management issues beyond the scope of basic investment plans. Through his FMA designation, Lawrence has gained expertise in servicing affluent clients and their unique needs. When not at the office, Lawrence enjoys his leisure time with his wife and two young boys. He also enjoys vacations, his childrens activities and watching sports. In addition to being proficient in TD Wealth’s applications, Debbie is also licensed and able to execute any trade instructions or new issue requests on your behalf. In her spare time, Debbie enjoys traveling and spending time with her family.